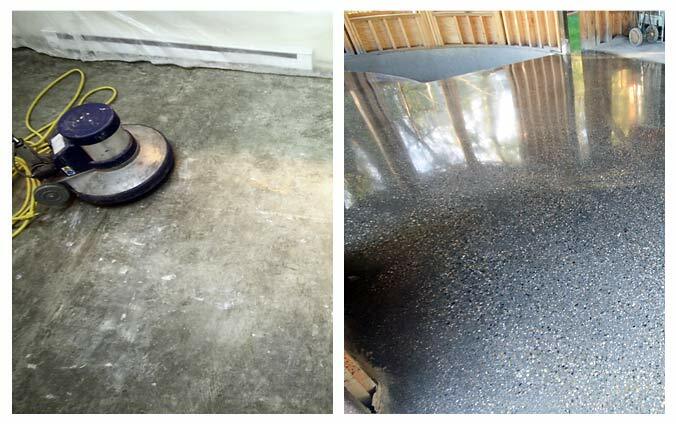 Polishing is rapidly becoming the favorite choice for finishing concrete floors due to its attractive appearance, high reflectivity, and low maintenance. Concrete floors can be polished from a satin sheen to a high gloss, they can be dyed an array of colors, and are extremely scratch resistant. Polished concrete requires only routine cleaning and will last many years with little maintenance. Polishing is the most cost effective solution for your concrete floors, and Thompson Floor is your concrete polishing specialist.